On my links page, you will find a link for Bankruptcy Basics. This website provides the basic information for everyone on different aspects of the federal bankruptcy laws. For those who might be considering bankruptcy, this site also provides a basic explanation of the different chapters that can be filed and some commonly asked questions about the bankruptcy process. * I am a debt relief agency. I help people file for bankruptcy relief under the Bankruptcy Code. Bankruptcy Information is believed reliable, but accuracy and completeness are not guaranteed. Not all auto accident cases go to trial because most settle outside of court. Approximately, 90% to 95% of claims do not make it to trial. The attorney working on the case, weighs the costs of suit, the risks of pursuing it and what a reasonable jury would award in your area. 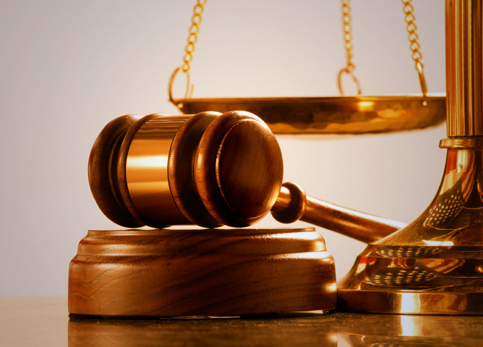 This process takes skill and good judgment to estimate the damages of a case. Some types of compensation that can be awarded are medical costs, pain and suffering, property damage, etc. It all depends on the circumstances of the accident. A personal injury can be a physical injury, disease or illness, or a psychological injury or illness. Death can be the result of a personal injury. Some examples of personal injuries are an injury at work, an injury caused in a traffic accident, an injury caused if you trip over paving stones, a psychological illness suffered as a result of abuse as a child, an injury caused by errors in hospital treatment or by vaccinations, a psychological illness caused by discrimination or harassment in your work-place. No matter what type of personal injury case you might have you should take action. Some things you might want to consider if you have suffered a personal injury, or if you are acting on behalf of someone who has died because of a personal injury are: do you want to make a complaint to the person or organization you believe was responsible for the injuries, do you want to make a claim for compensation to cover losses you have suffered as a result of the injury, are there any immediate financial problems arising because of the injury and/or do you want to contact an organization that could offer support or counselling. Basically, every legal issue can end up in court. The term general litigation refers to litigation and all other aspects of law which may or may not be litigious in nature such as wills/estate planning, contract drafting, real-estate transactions, disputes with administrative bodies, and more. Generally, litigation is what happens when things go wrong and the case ends up in court. The litigation process consists of: 1. Plaintiff sues; 2. Defendant answers and/or brings a countersuit; 3. the parties commence discovery; 4. sometimes mediation or alternative dispute resolution; 5. Trial; 6. Appeal. Real Estate is a legal term that incorporates land along with anything permanently affixed to the land, such as buildings. Real Estate Law is the body of regulations and legal codes which apply to such matters under a particular jurisdiction. Real estate is often considered compatible with real property, in contrast with personal property. However, in some situations the term real estate refers to the land and fixtures together, as distinguished from real property, referring to ownership rights of the land itself. The terms real estate and real property are used primarily in common law, while civil law jurisdictions refer to immovable property. Workers' compensation is a “no fault” insurance program that provides medical benefits, temporary total benefits, permanent partial benefits, or permanent total benefits to employees who suffer job-related injuries or illnesses. This program also provides death benefits to dependents of workers who have died as a result of their job. An employee that was injured on the job will receive benefits regardless of who was at fault. Since the worker is receiving those benefits, he/she cannot bring a civil action against the employer for pain and suffering or any other damages, except in cases of intentional acts. I am experienced in handling all DWI/DUI matters including criminal defense and administrative license restoration. I will aggressively assert your rights to reduced charges and penalties and work to minimize any DWI fines. In regards to other traffic violations I will seek to reduce your charges, minimize penalties, including fines, or defeat traffic violation charges. I have experience in helping clients avoid costly motor vehicle commission points by defending speeding violations, reckless driving and careless driving. There are many things that can be done on your behalf to challenge the NJ State's case, including questioning why you were stopped in the first place, examining the NJ DWI field sobriety testing information and verifying the Alcotest testing procedure to make certain the proper protocols were followed and potentially filing Motions before the NJ Court to suppress some or all of the evidence against you. The law defines disability as the inability to engage in any substantial gainful activity (i.e. work) by reason of any medically determinable physical or mental impairments, which can be expected to result in death or which has lasted or can be expected to last for a continuous period of at least 12 months. A child under 18 will be considered disabled if he/she has a medically determinable physical or mental impairment or combination of impairments that cause marked and severe functional limitations, that can be expected to cause death or that has lasted or can be expected to last for a continuous period of not less than 12 months. There are two programs, Social Security Disability Insurance (Title II) and Supplemental Security Income (Title XVI), that pay benefits to individuals who are found to be disabled under the law. Title II (SSDI) provides cash benefits for those disabled workers, who have contributed to the Social Security Trust Fund, and pays benefits to their dependents. Title XVI (SSI) provides monthly payments to aged, blind and disabled people with limited income and resources. The legal definition of “corporation” is an organization formed with state governmental approval to act as an artificial person to carry on business (or other activities), which can sue or be sued, and (unless it is non-profit) can issue shares of stock to raise funds with which to start a business or increase its capital. There are many types of corporations; some include, but are not limited to Profit Corporation (DP), Non-Profit Corporation (NP), Professional Corporation (PA), Limited Liability Corporation (LLC), Limited Partnership (LP) and Limited Liability Partnership (LLP). The importance of proper corporation/business law decisions cannot be emphasized enough. Whether you’re starting a business, have a partner dispute, or need help related to business law, I am ready to help you resolve your issues and grow your business. 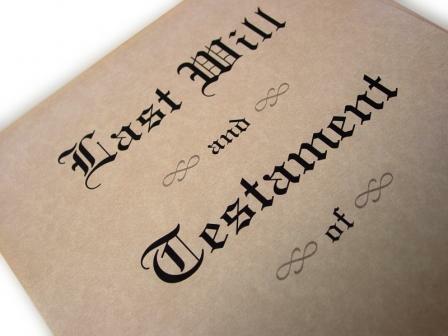 A will is a legal document that determines what happens to your property after your death. A will provides for the distribution of your property and in what amounts. Property distributed under the terms of the will become the "probate" estate. Making a will is a responsibility, as well as a right that is protected by law. In addition to distributing or transferring property, a will may have other functions. It may be used to name a guardian for any minor children or to create a trust and designate a trustee to handle an estate (property left after death) on behalf of children or others. A will may also be used to name a personal representative or "executor" to handle the decedent's (the person who died) property and affairs from the time of death until an estate is settled. The signing of the document must be witnessed by at least two legally competent individuals and signed in strict accordance with technical formalities. Witnesses do not need to know the contents of the will and should not be beneficiaries (persons who will receive something) of the will. The Will should be signed in the presence of a notary. A will is effective after death and may be revised at any time before death. A will should be revised to reflect any changes in circumstances, personal choices or resources. Changes are often made by a simple document called a codicil (a supplement to a will), or by redrafting the will. An attorney should be consulted when making changes to ensure that changes are legal and properly made. You decide—for any reason—to change the distribution of your estate. The signed original document should be kept in a safe place. As with all vital papers, this document should be stored where it is protected (such as a bank's safe deposit vault), yet readily accessible when needed. You should never write anything on the original document. An important part of lifetime planning is the Power of Attorney. Valid in all states, these documents give one or more persons the power to act on your behalf. The person named in a Power of Attorney to act on your behalf is commonly referred to as your "agent" or "attorney-in-fact." With a valid Power of Attorney, your agent can take any action permitted in the document. Often your agent must present the actual document to invoke the power. For example, when selling an automobile, selling or buying real property, opening and closing bank accounts or buying or selling securities. However, your agent generally should not need to present the Power of Attorney when signing checks for you. Why would anyone give such sweeping authority to another person? One answer is to prepare for situations when you may not be able to act on your own behalf due to absence or incapacity. Such a disability may be temporary (e.g., due to travel, accident, or illness) or it may be permanent. If you do not have a Power of Attorney and become unable to manage your personal or business affairs, it may become necessary for a court to appoint one or more people to act for you. People appointed in this manner are referred to as guardians, conservators, or committees, depending upon your local state law. If a court proceeding, sometimes known as intervention, is needed, then you may not have the ability to choose the person who will act for you. With A Power of Attorney, you choose who will act and define their authority and its limits, if any. You may wish to choose a family member to act on your behalf. Many people name their spouse or a child. There are no special qualifications necessary for someone to act as an attorney-in-fact except that the person must not be a minor or otherwise incapacitated. The best choice is someone you trust. The issues surrounding serious illness and death are not easy to discuss. But it is far easier on everyone if you have a living will and other advance directives in place before you are involved in a serious accident or become ill. If you do not have a living will or other advance directives you may find yourself in a situation in which you are unable to communicate your wishes regarding the extent of treatment efforts, such as resuscitation and life-support machines. Living wills and other advance directives are not just for the elderly. Unexpected end-of-life situations can happen at any age, so it is important for all adults to have advance directives.